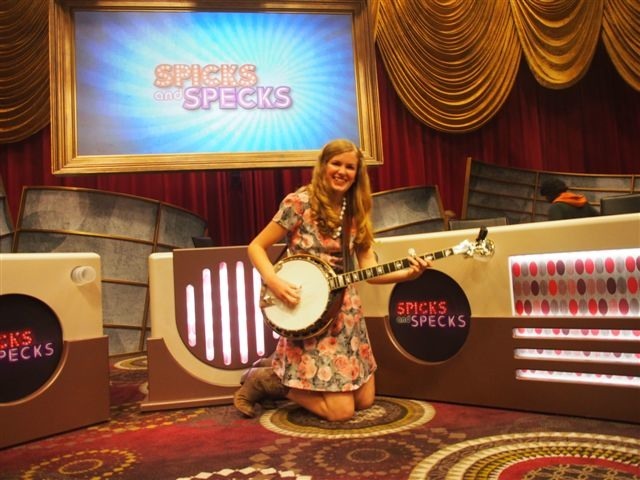 News just in from Taylor Pfeiffer is that come this Wednesday the 26th of March at 8:30pm she will be appearing as a guest on the music quiz show Spicks and Specks on ABC1 Television. 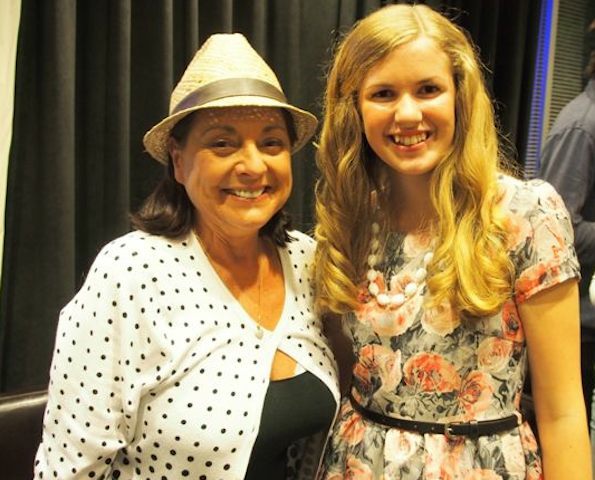 Taylor Pfeiffer, known around Australia as “The Banjo Girl”, and loves to sing, yodel and accompany herself on her Bellbird 5-String Banjo. Taylor was inspired to play the banjo after hearing the 1960’s Australian TV theme song “Skippy the Bush Kangaroo” at the age of seven. I have been watching Spicks and Specks for years. I’m very excited to say that I am in the segment “Look What They’ve Done To My Song Ma” (or Look Ma for short). I had to disguise 5 songs, by playing the banjo and yodelling and the teams listen to my versions and buzz in when they recognize the song. I am also closing the show with a guest from the panel, Ben Mingay, Music Theatre / TV Actor from Wonderland, Packed to the Rafters, Blue Heelers and All Saints. The audience loved the closing song. I had a brilliant time. I’m not going to spoil all the surprises for the show, but I will tell you that Denise Drysdale (Ding Dong) is on the panel and she is a laugh a minute – Taylor Pfeiffer. Taylor found it an unreal experience being in the studio with such a great cast and crew. The show can be seen this Wednesday at 8:30pm on ABC1 and again on Thursday on ABC2 at 8:30pm.